قیاسوند, سارا, محمدی, بیژن. (1395). تحلیل مود مختلط رشد ترک خستگی پنل‌های آلومینیومی حاوی ترک ترمیم شده با وصله‌های کامپوزیتی به روش المان محدود توسعه یافته. علوم و فناوری کامپوزیت, 3(4), 321-332. سارا قیاسوند; بیژن محمدی. "تحلیل مود مختلط رشد ترک خستگی پنل‌های آلومینیومی حاوی ترک ترمیم شده با وصله‌های کامپوزیتی به روش المان محدود توسعه یافته". علوم و فناوری کامپوزیت, 3, 4, 1395, 321-332. قیاسوند, سارا, محمدی, بیژن. (1395). 'تحلیل مود مختلط رشد ترک خستگی پنل‌های آلومینیومی حاوی ترک ترمیم شده با وصله‌های کامپوزیتی به روش المان محدود توسعه یافته', علوم و فناوری کامپوزیت, 3(4), pp. 321-332. قیاسوند, سارا, محمدی, بیژن. تحلیل مود مختلط رشد ترک خستگی پنل‌های آلومینیومی حاوی ترک ترمیم شده با وصله‌های کامپوزیتی به روش المان محدود توسعه یافته. علوم و فناوری کامپوزیت, 1395; 3(4): 321-332. روش المان محدود توسعه یافته (XFEM) یکی از قوی‌ترین روش‌های عددی در مدل‌سازی ناپیوستگی بوده و بر پایه المان محدود می‌باشد. در این روش با غنی‌سازی گره‌ها و افزایش درجات آزادی آن‌ها از 2 به 4 و حتی در شرایط خاص به 10 به‌طور مجازی و بدون نیاز به تطبیق مش با هندسه ناپیوستگی، امکان مدل‌سازی فراهم می‌شود. در المان محدود لزوم تطابق کامل لبه المان‌ها با لبه ترک، تغییر المان‌بندی در هر مرحله از رشد ترک را نیازمند است که روند تحلیل رشد ترک را با صرف وقت و محاسبات زیادی روبرو می‌کند. یکی از اهداف اصلی در این تحقیق بیان روشی نوین برای مدل‌سازی ساده‌تر رشد ترک خستگی و دستیابی به عمر سازه از طریق محاسبه ضرایب تمرکز تنش می‌باشد. با روش المان محدود توسعه یافته برای هر نوع ترک تنها با یک المان‌بندی ساده می‌توان نتایج مورد نظر را با دقت بالایی محاسبه نمود. در این تحقیق با قابلیت المان محدود توسعه یافته در محیط نرم‌افزار آباکوس، مدل‌سازی مود ترکیبی سه بعدی رشد واقعی ترک در ترمیم نامتقارن پنل، انجام شده است. در این روش تغییرات پارامترهای شکست در راستای ضخامت در لایه چینی‌های متفاوت بررسی شده است. نمونه‌ها در این تحقیق شامل رشد ترک در مود ترکیبی است. با بررسی نتایج XFEM حاصل از این تحقیق و نتایج FEM و تجربی تحقیقات گذشته، مشخص شد که نتایج روش XFEM خطای کمتری نسبت به نتایج تجربی دارند. Extended finite element method (XFEM) is one of the strongest numerical methods that its basis is finite element method. In this method, using of enriching the nodes and increasing of their degrees of freedom (from 2 to 4 or even upto 10) virtually and without verifying the mesh and geometry of discountinuty, can model the system. In FEM crack geometry must be align with mesh edges which needs changing meshes in every steps of crack propagation and take so much time and too many analysis. One of the main objectives in this study is the expression of a novel method for modeling fatigue crack growth more easily and achieve the life of the structure by calculating the stress concentration factors. In this paper by using XFEM in ABAQUS, real 3D crack trajectory in single side repair has been simulated. Variation of fracture parameterin thickness direction of cracked panel with different patch lay-ups has been studied. In this paper, tests include mixed mode crack propagation. By examining the XFEM results of this research, FEM and experimental results of previous studies, it was found that the results of XFEM in comparison to experimental results have less error. Duong, C.N. and Wang, C.H., "Composite Repair: Theory and design", Elsevier, Oxford, pp. 1-8, 2007. Baker, A. and Jones, R., "Bonded repair of aircraft structures", Dordrecht, Martinus Nijhoff, 1988. Ratwani, M.M. and Kan, H.P., "Analysis of Cracked, Adhesively Bonded Laminated Structures", AIAA Journal, Vol. 17, No. 9, pp. 988-994, 1979. Rose, L.R.F., "An application of the inclusion analogy for bonded reinforcements", International Journal of Solids and Structures, Vol. 17, pp. 827–838, 1981. Rose, L.R.F., "A cracked plate repaired by bonded reinforcements" International Journal of Fracture, Vol. 18, pp. 135–144, 1982. Rose, L.R.F., "Theoretical analysis of crack patching. In Bonded Repair of Aircraft Structure", Kluwer Academic Publisher, pp. 77–106, 1988. Atluri, S.N., "Composite Repairs of Cracked Metallic Aircraft Structures", Dept. of Transportation Repport No.DOT/FAA/CT-92/32, 1992. Bottega, W.J. and Loia, M.A., "Edge debonding in patched cylindrical panels" International Journal of Solids and Structures, Vol. 33, pp. 3755–3777, 1996. Bottega, W.J. and Loia, M.A., "Axisymmetric edge debonding in patched plate", International Journal of Solids and Structures, Vol. 34, pp. 2255–2289, 1997. Mohammadi, B., "Repaing of aluminum plates having a crack in mixture mode using ofcomposite patches", MSc Thesis, Amirkabir University of Technology, Department of aerospace engineering, 2002. Sadeghi, G., "3-D Analysis on Damage Tolerance of Repaired Aluminum Panels Using Composite Patches", MSc Thesis, Amirkabir University of Technology, Department of aerospace engineering, 2004. Bakhshandeh, S., " Experimental investigations on fatigue crack growth of repaired panels with Composite Patches ", MSc Thesis, Amirkabir University of Technology, Department of aerospace engineering, 2004. Hosseini-Toudeshky, H. Bakhshandeh, S. Mohammadi, B. and Daghyani, H.R., "Experimental investigations on fatigue crack growth of repaired thick aluminum panels in mixed-mode conditions", Composite Structures, Vol. 75, pp.428-436, 2006. Hosseini-Toudeshky, H. Mohammadi, B. and Daghyani, H.R., "Mixed–mode fracture analysis of repaired aluminum panels using composite patches" Composite Science and Technology, Vol. 66, pp. 188-198, 2006. Hosseini-Toudeshky, H. Mohammadi, B. and Bakhshandeh, S., "Mixed-mode fatigue crack growth of thin aluminium panels with single-side repair using experimental and numerical methods", Journal of Fatigue & Fracture of Engineering Materials & Structures, Vol. 30, pp. 629-639, 2007. Hosseini-Toudeshky, H. and Mohammadi, B., "A simple method to calculate the crack growth life of adhesively repaired aluminum panels", Composite Structures, Vol. 79, pp. 234-241, 2007. Hosseini-Toudeshky, H. Mohammadi, B. Daghyani, H.R. and Sadeghi, G., "Numerical and experimental fatigue crack growth analysis in mode-I for repaired aluminum panels using composite material", Composites: Part A, Vol. 38, pp. 1141-1148, 2007. Saber, M., "3D crack propagation of cracked thin and thick aluminum panels Repaired with Composite Patches in mixed-mode conditions ", MSc Thesis, Amirkabir University of Technology, Department of aerospace engineering, 2006. Hosseini-Toudeshky, H. Saber, M. and Mohammadi, B., "Real 3D crack-front and crack trajectory analyses of single-side repaired thick aluminum panels", Journal of Advanced Materials Research, Vols. 47-50, pp. 777-780, 2008. Hosseini-Toudeshky, H. and Mohammadi, B., "Mixed-Mode Numerical & Experimental Fatigue Crack Growth Analyses of Thick Aluminum Panels Repaired with Composite Patches" J. of Composite Structures, Vol. 91, pp. 1-8, 2009. Hosseini-Toudeshky, H. Saber, M. and Mohammadi, B., "Crack trajectory analysis of single-side repaired thin panels in mixed-mode conditions using glass/epoxy patches", Computers and Structures, Vol. 86, pp. 997–1005, 2008. Hosseini-Toudeshky, H. Saber, M. and Mohammadi, B., "Real 3D crack propagation of single-side repaired thin aluminum panels in mixed-mode conditions", International Journal of Fracture, Vol. 153, No. 2, pp. 105-116, 2008. Hosseini-Toudeshky, H. Saber, M. and Mohammadi, B., "Finite element crack propagation of adhesively bonded repaired panels in general mixed-mode conditions", Finite Elements in Analysis and Design, Vol. 45, pp. 94-103, 2009. Payganeh, G. H. Ashenai Ghasemi, F. Pourkamali Anaraki, A. and Fallah Rahmatabadi, A., “Numerical analysis for determination of the J integral and crack opening displacement in the cracked aluminum plates repaired with FML composite patches”, Journal of Applied Sciences, Vol. 12, No. 21, pp. 2259–2265, 2012. Belytschko, T. and Black, T., "Elastic crack growth in finite elements with minimal remeshing. ", International Journal for Numerical Methods in Engineering, Vol. 45, pp. 601–620, 1999. Moes, N. Dolbow, J. and Belytschko, T., "A finite element method for crack growth without remeshing", International Journal for Numerical Methods in Engineering, Vol. 46, pp. 131–150, 1999. Sukumar, N. Mos, N. and Belytschko, T., "Extended finite element method for three-dimensional crack modelling. ", International Journal for Numerical Methods in Engineering, Vol. 76, pp. 1328–1352, 2000.
hesive crack growth. ", International Journal for Numerical Methods in Engineering, Vol. 69, pp. 813-833, 2002. Zi, G. and Belytschko, T., " New crack-tip elements for xfem and applications to cohesive cracks. ", International Journal for Numerical Methods in Engineering, Vol. 57, pp. 2221-2240, 2003.
 de Borst, R. Gutirrez, M. Wells, G. Remmers, J. and Askes, H., "Cohesive-zone models, higher-order continuum theories and reliability methods for computational failure analysis", International Journal for Numerical Methods in Engineering, Vol. 60, pp. 289-315, 2004.
 de Borst, R. Remmers, JJ. and Needleman, A., " Mesh-independent discrete numerical representations of cohesive-zone models. ", International Journal for Numerical Methods in Engineering, Vol. 73, pp. 160-177, 2006. Mariani, S. and Perego, U., "xtended finite element method for quasi-brittle fracture. 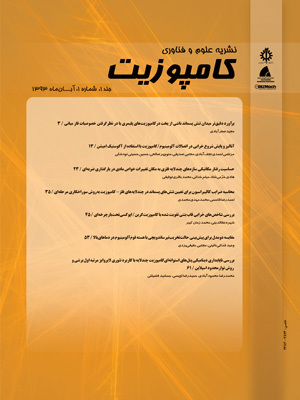 ", International Journal for Numerical Methods in Engineering, Vol. 58, pp. 103-126, 2003. Asferg, J. Poulsen, P. and Nielsen, L., "A consistent partly cracked xfem element for cohesive crack growth. ", International Journal for Numerical Methods in Engineering, Vol. 72, pp. 464-485, 2007. Osher, S. and Sethian, J.A., " Fronts propagating with curvature-dependent speed: Algorithms based on hamilton-jacobi formulations. ", International Journal for Numerical Methods in Engineering, Vol. 79, pp. 12-49, 1988. Osher, S. and Fedkiw, R., " Level Set Methods and Dynamic Implicit Surfaces", 2003. Bordas, S., Duflot, M., and Le, P., " A simple error estimator for extended finite elements. ", Communications in Numerical Methods in Engineering, Vol. 24, pp. 961-971, 2008. Chahine, E. Laborde, P. and Renard, Y., " rack tip enrichment in the xfem using a cutoff function. ", International Journal for Numerical Methods in Engineering, Vol. 75, pp. 626-646, 2008. Chahine, E. Laborde, P. and Renard, Y., "quasi-optimal convergence result for fracture mechanics with xfem", International Journal for Numerical Methods in Engineering, Vol. 342. pp. 527-532, 2006. Lew, A. and shen, Y., " Crack tip enrichment in the xfem using a cut off function", International Journal for Numerical Met.2ds in Engineering, 2009. Ashenai Ghasemi, F. Pourkamali Anaraki, A. and Rouzbahani, A. H., " Using XFEM for investigating the crack growth of cracked aluminum plates repaired with fiber metal laminate (FML) patches", Journal of Modares Mechanical Engineering, 2012.